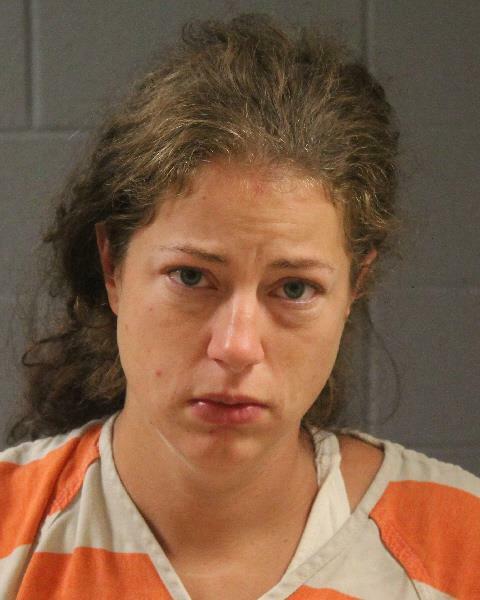 ST. GEORGE — A Toquerville woman was arrested Monday and subsequently ordered to undergo a mental health evaluation after she allegedly got so mad at her husband that she began smashing a $1,000 hospital phone during a fit of rage. Police officers responded to Dixie Regional Medical Center in St. George on a report of a disorderly female patient who was “yelling and screaming” at the hospital staff, according to a probable cause statement filed by St. George Police in support of the arrest. Several hospital staff members could reportedly hear the woman yelling and tried to calm her down prior to police arrival, the statement read. When officers arrived, they spoke with the woman who was identified as 32-year-old Camille Pauline Kirkwood. The phone, reportedly valued at $1,000, no longer worked after the woman was finished with it, the report stated. Kirkwood was arrested and booked into the Washington County Purgatory Correctional Facility. She was charged with class A misdemeanor criminal mischief, along with a class C misdemeanor for disorderly conduct. Kirkwood was found indigent by the 5th District Court during her court arraignment Tuesday and will be represented by court-appointed attorney Ariel Taylor. According to court documents, she is scheduled to undergo a court-ordered mental health evaluation Jan. 25. Yeah that Obamacare is really working out great isn’t it ?